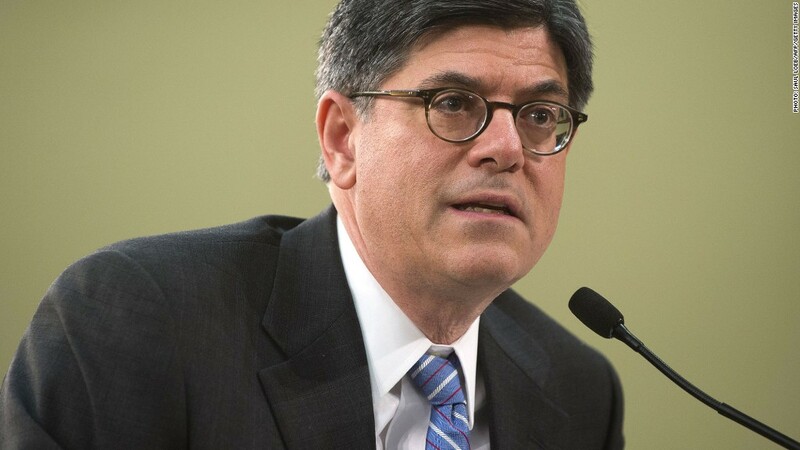 Treasury Secretary Jacob Lew sent a letter on Friday formally notifying Congress that the Treasury will begin implementing so-called "extraordinary measures" to keep the country's borrowing below its legal limit. The debt ceiling clock is about to start running again. The U.S. Treasury on Friday began using "extraordinary measures" to keep the country from defaulting on its obligations. As part of a budget compromise in February, lawmakers suspended the country's legal borrowing limit at $16.394 trillion, and let Treasury keep borrowing to pay all the country's bills. But on Sunday the debt ceiling will automatically reset to a higher level reflecting the amount borrowed during the suspension period. The Bipartisan Policy Center estimates the increase will be roughly $265 billion. In effect, that means the country will reach its debt limit on Sunday. It's unclear how much time the extraordinary measures will buy. Treasury Secretary Jacob Lew said in a letter to lawmakers Friday that the measures could last "until after Labor Day." Just how long after that is uncertain, he said, given that tax receipts are unpredictable as is the pace of spending due to the forced budget cuts that began in March. Other estimates, however, put the drop-dead date for raising the debt ceiling at sometime in October or even November thanks to the fact that the deficit this year has fallen faster than expected. The first move that Treasury will take is to temporarily stop issuing special securities to state and local governments. Other measures Treasury can take include redeeming existing investments in the retirement and disability funds of civil service and postal workers. It's not clear just how Congress will handle the debt ceiling debate between now and the fall. Political analysts still say both parties realize how damaging it would be to engage in political brinksmanship the way Republicans did in the summer of 2011. But House Republicans in particular have made clear they will demand something in return for their vote to increase the borrowing limit. And it's very likely the fight could go down to the wire. What's not clear is what exactly Republicans will demand. It may be more spending cuts, a fast-track process for tax reform or something else entirely. "There's a lot of uncertainty and a longer time frame for the GOP to make up their mind now since the debt limit has been pushed. ... I think the GOP may come out of the gate with a bigger ask on spending cuts and entitlements, but a tax reform process seems like the most likely way out for all sides," said Sean West, the U.S. director of the Eurasia Group.